"It's the little things," writes Ubisoft Senior Communications Manager Gary Steinman in a new post to the Ubisoft blog, "little things multiplied by the thousands that a development team focuses on during the final push to ship a game." Gary's letting us down softly here. He doesn't want us to hurt, but he knows it'll sting all the same. "That final straight line finish," he writes, "suddenly feels like an obstacle course laden with curves, hurdles, and pitfalls." Sounds like exactly the type of thing an assassin should be able to handle to me, but Assassin's Creed Unity has been delayed all the same, with its release date being pushed out two weeks to November 11. November 11 is a big day for Ubisoft. Of the five big games the company is releasing this fall, three of those games are currently set to release on November 11. 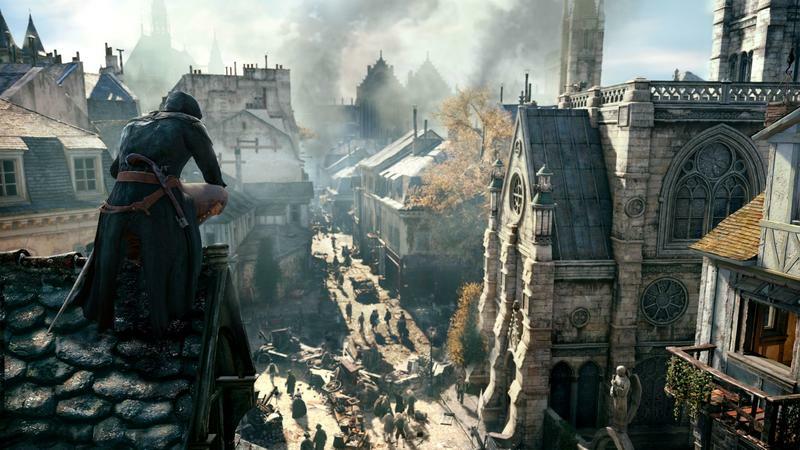 Assassin's Creed Unity will now launch alongside its previous generation cousin, Assassin's Creed Rogue, as well as the publisher's open world driving game The Crew. The other two big games are Just Dance 2015 (It's big for Ubisoft regardless of how we might feel about it) set for release on October 23 and Far Cry 4, which is set for November 18. I've already lost my bet that The Crew would be the first big game delayed this fall, but now I'm left wondering if Ubisoft really wants three big games hitting on the same day. Don't be surprised if The Crew gets delayed into early December to keep the games from stepping on each others' toes. In European territories, Assassin's Creed Unity will now release on November 13, and Assassin's Creed Rogue's release date has been moved to the same day to match.